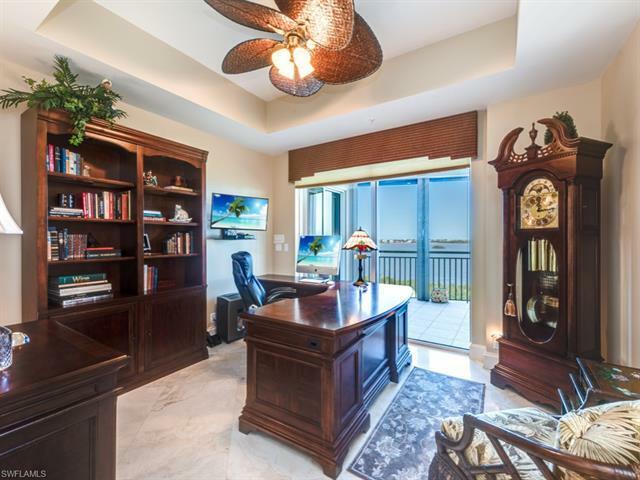 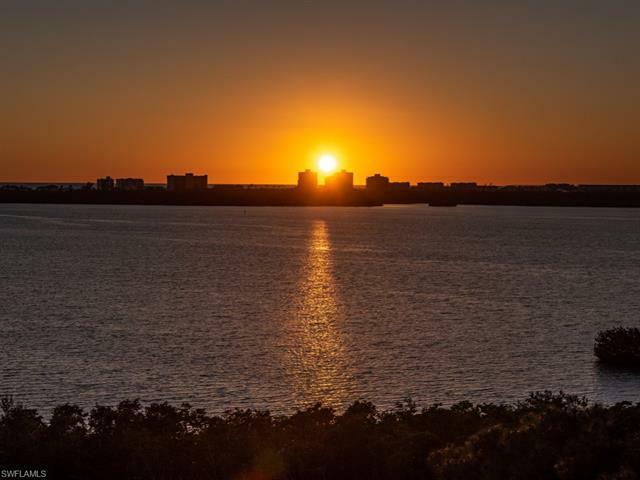 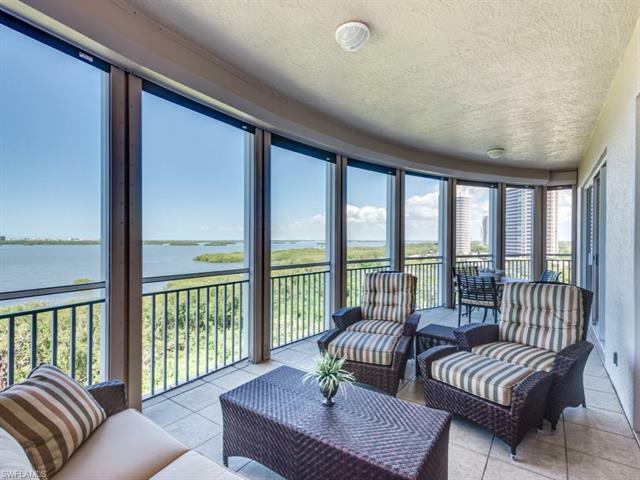 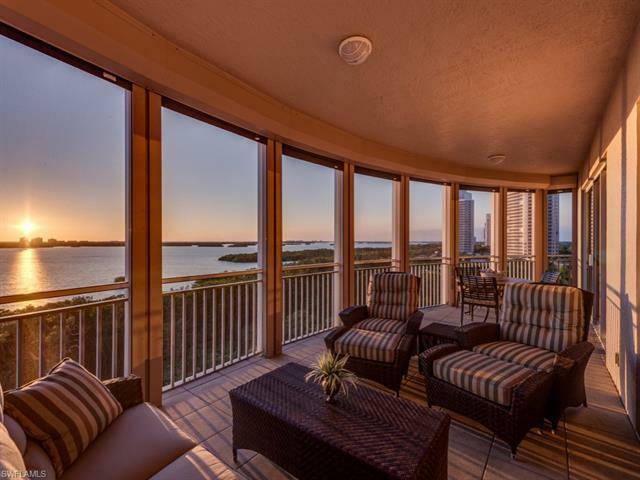 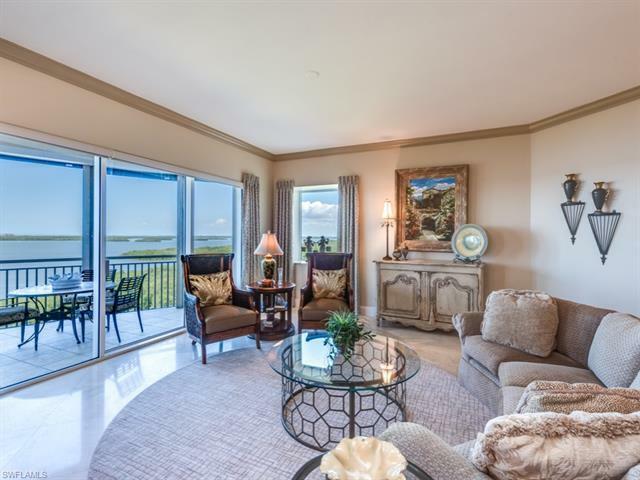 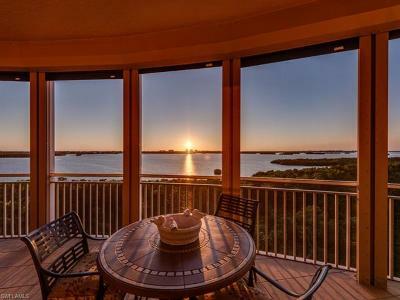 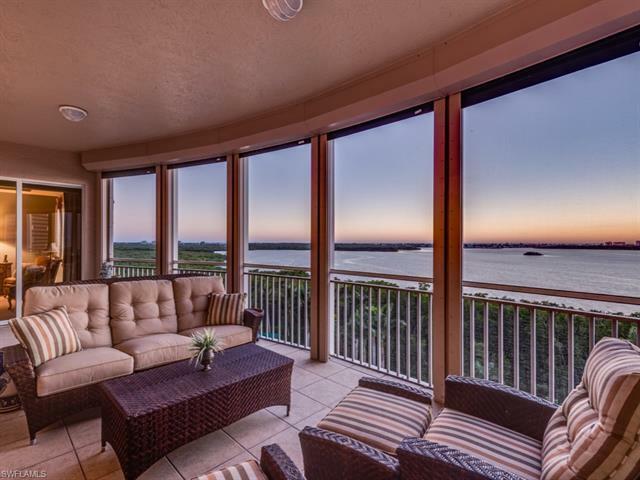 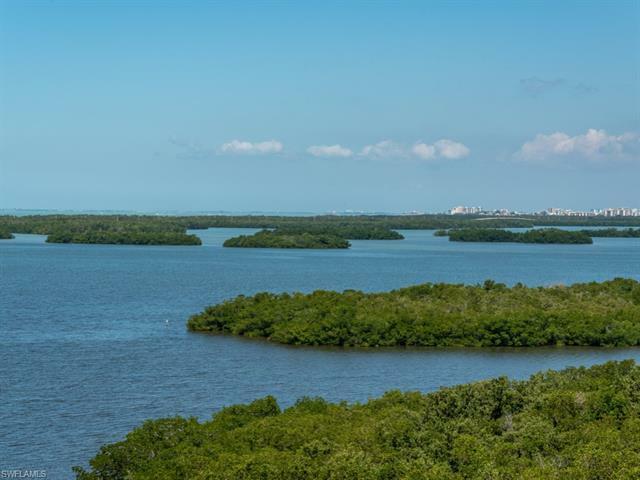 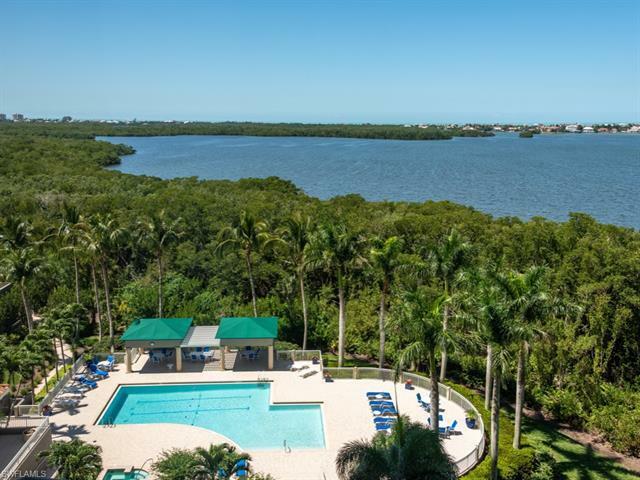 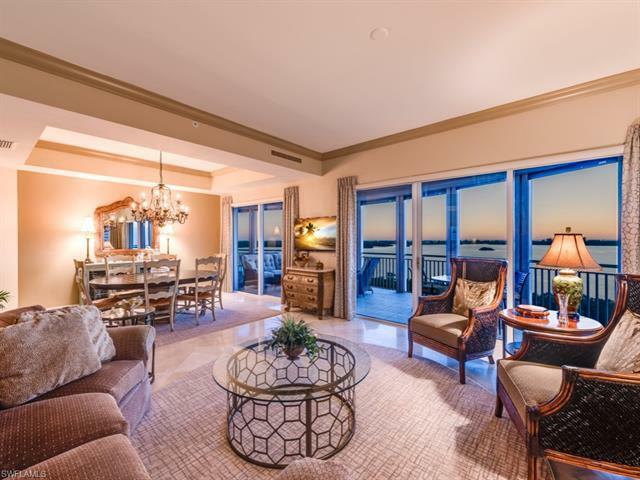 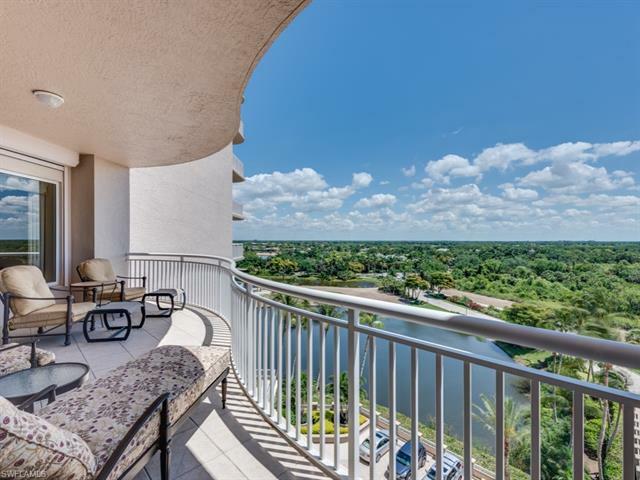 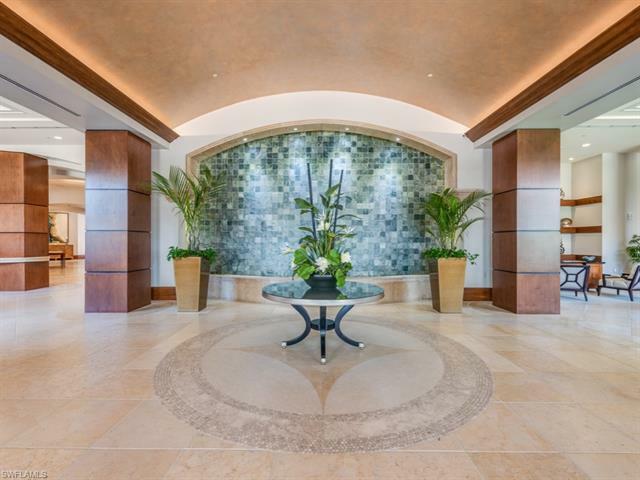 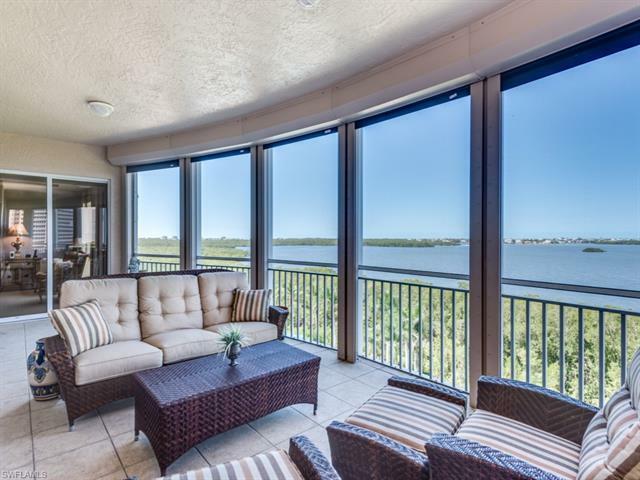 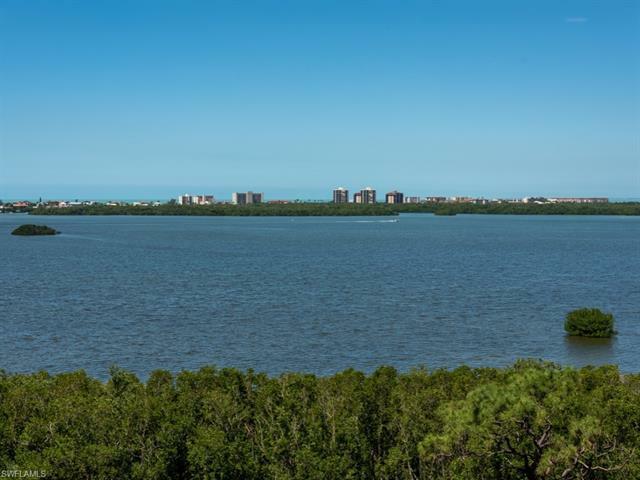 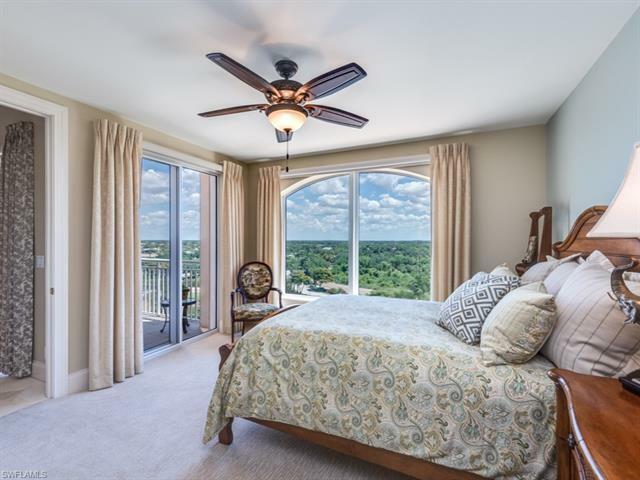 Gorgeous sweeping views of Estero Bay from this spacious, most desirable Horizons high-rise home. 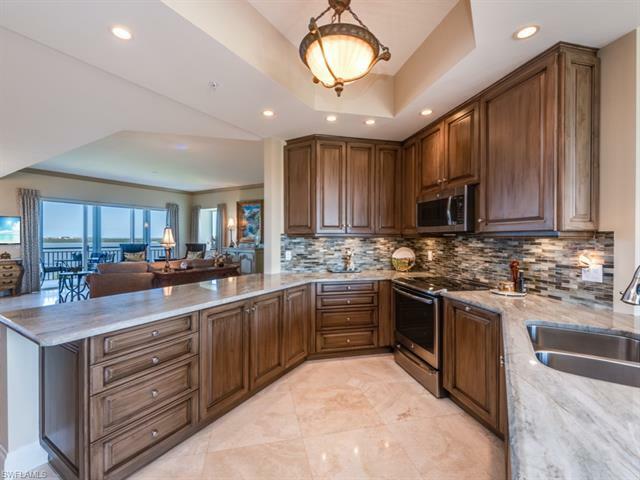 Completely remodeled kitchen has been opened on both sides to the living areas & views. 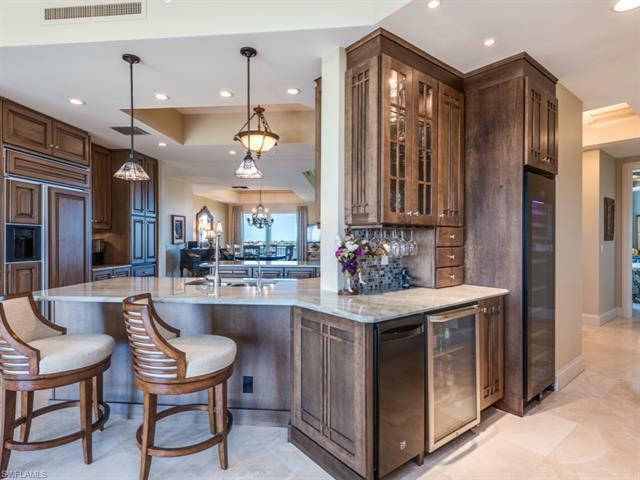 Includes new appliances & a new bar area w/ large wine cooler, icemaker, and refrigerator. Attention to detail & quality of all updates throughout. 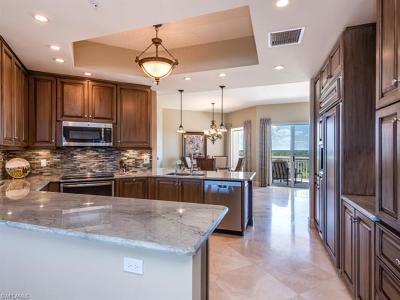 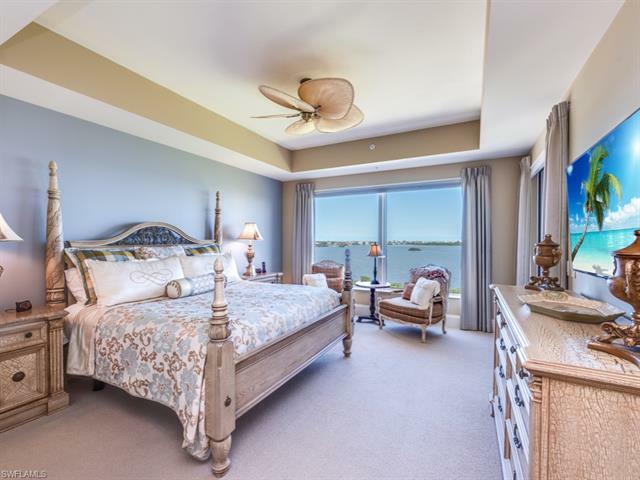 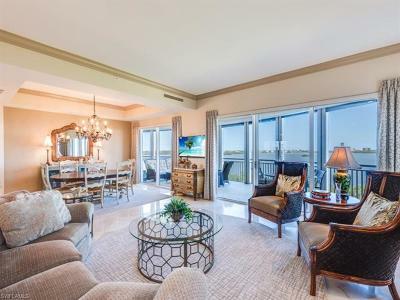 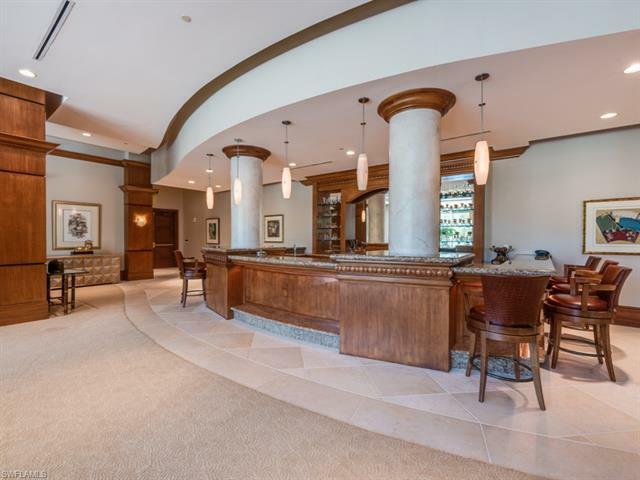 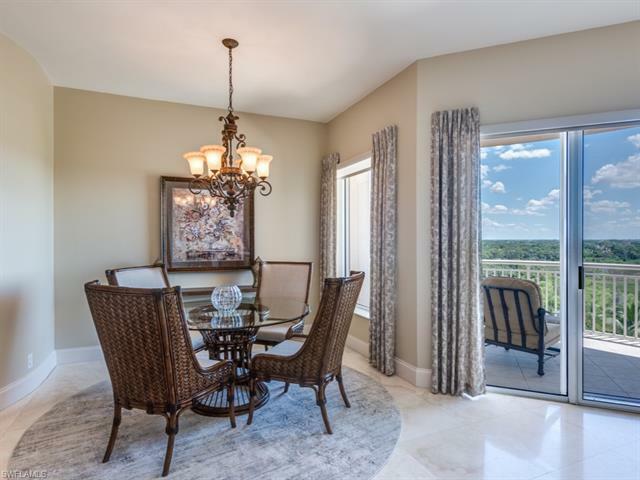 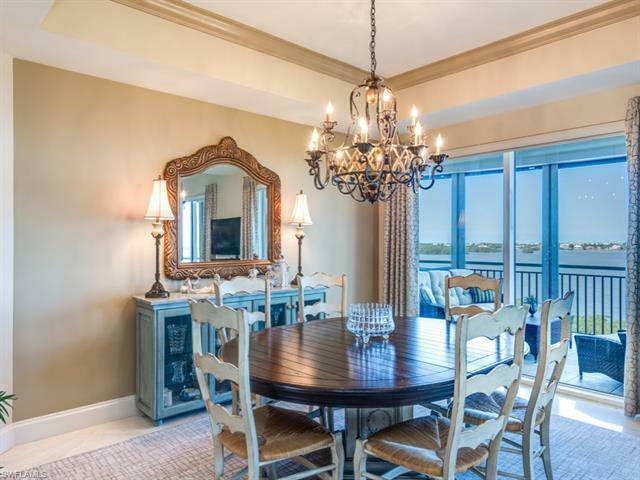 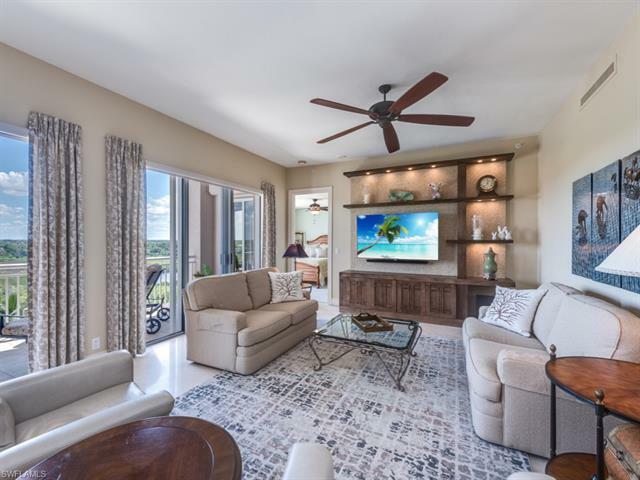 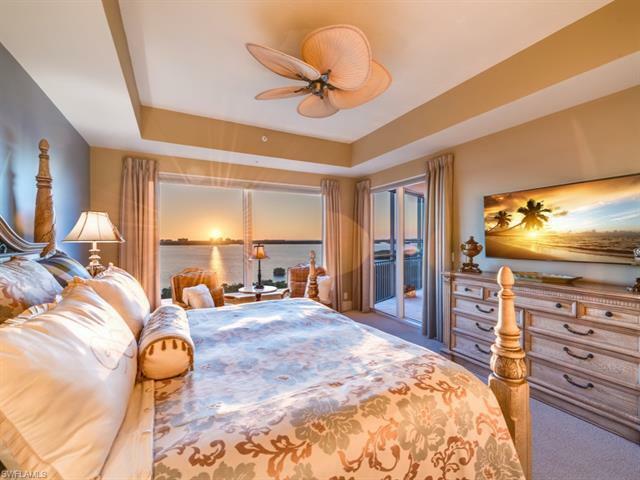 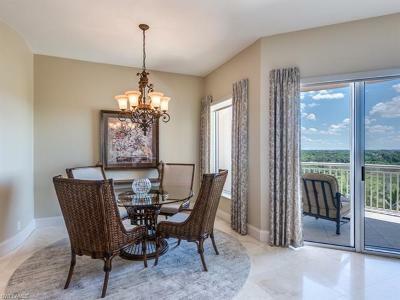 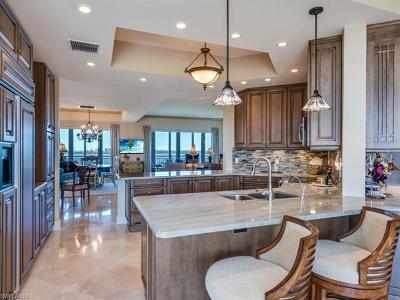 The floor plan includes a wonderful living and dining room combination, two en suiteguest bedrooms each w/ beautiful bay & gulf views & walk-in closets. 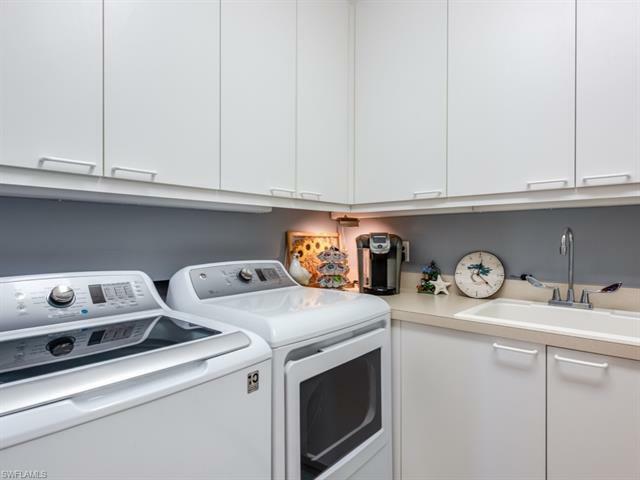 Large laundry room w/ overflow pantry/cabinetry. 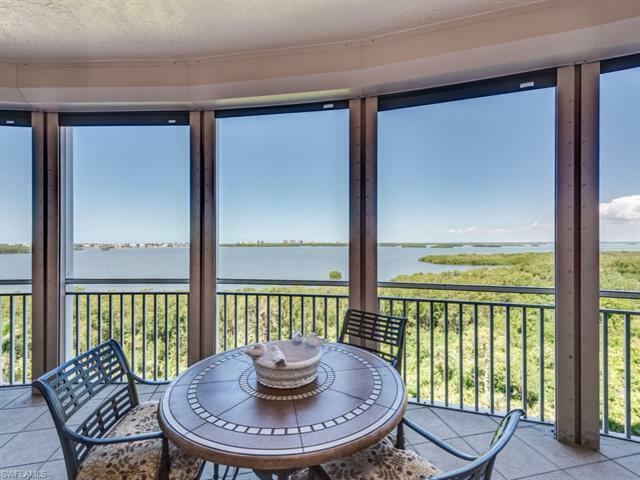 Lovely flooring throughout, fresh paint, new window treatments & the immense lanai create a very inviting lifestyle. 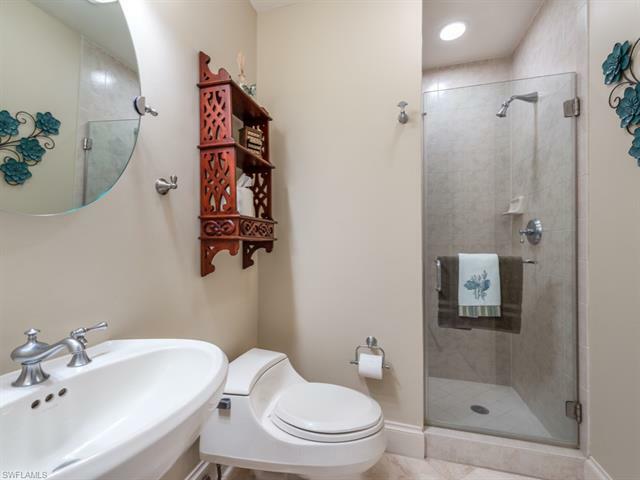 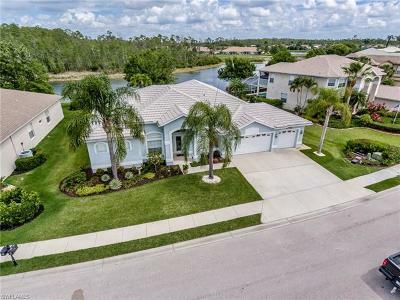 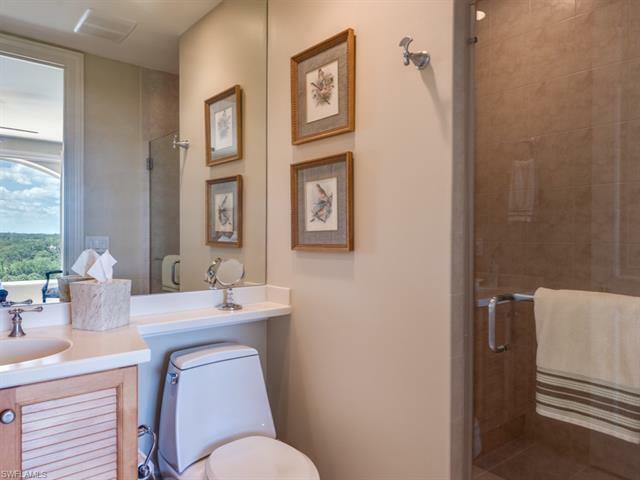 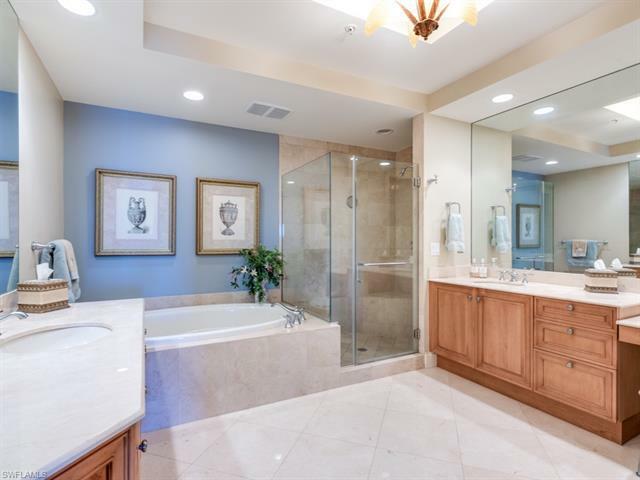 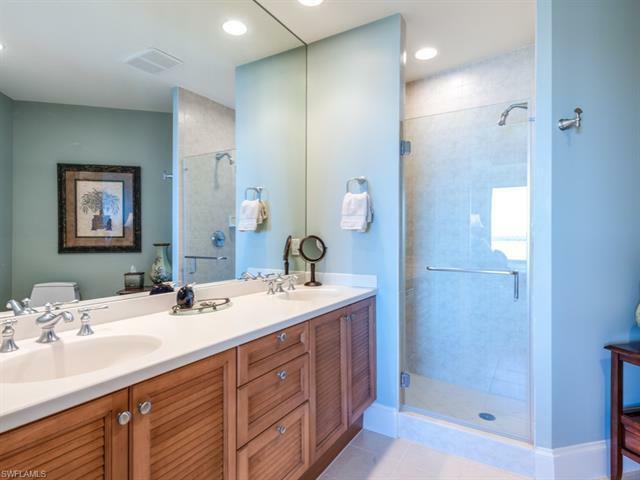 Master suite with oversized master bath, separate den, and breakfast room and family room, which have an open patio for enjoying the sunrise.There is a 4th bathroom near the den, which could be used for overflow guests. 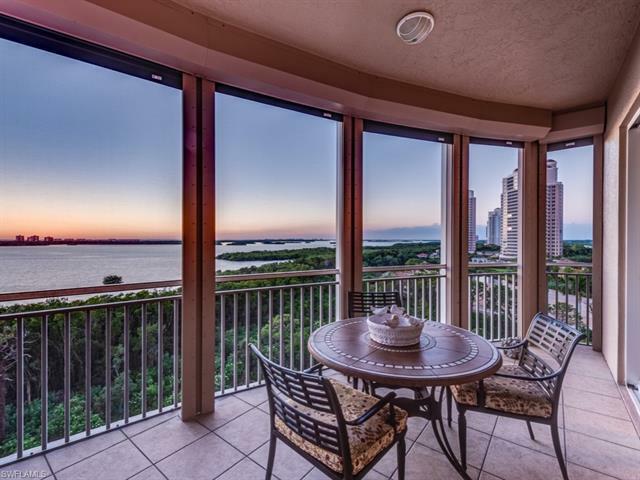 10-ft ceilings, sunrise and sunset views in sought after Horizons with no other high rises obstructing views. 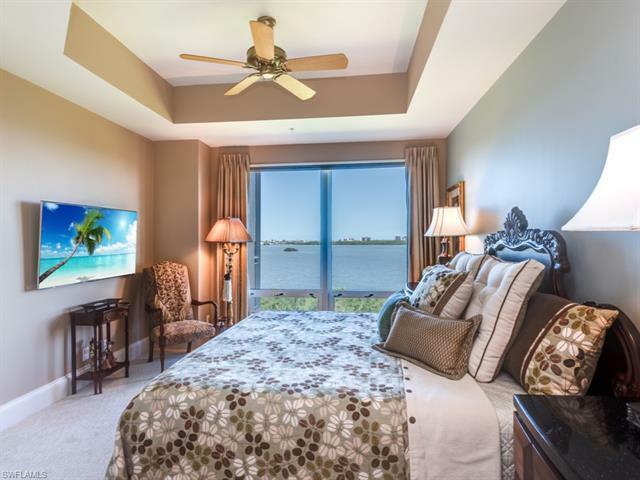 Storm shutters are included. 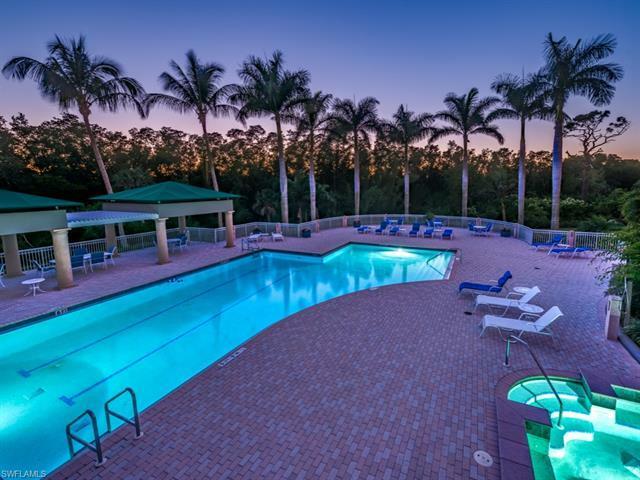 Enjoy the many wonderful amenities of the building including the fitness room, heated pool, saunas, whirlpools, social room, card room & more that provide the perfect Florida lifestyle.